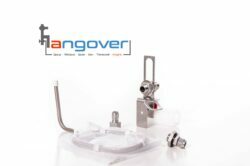 The Hangover™ Adds Ports To Your Brew Kettle Without Drilling A Hole! 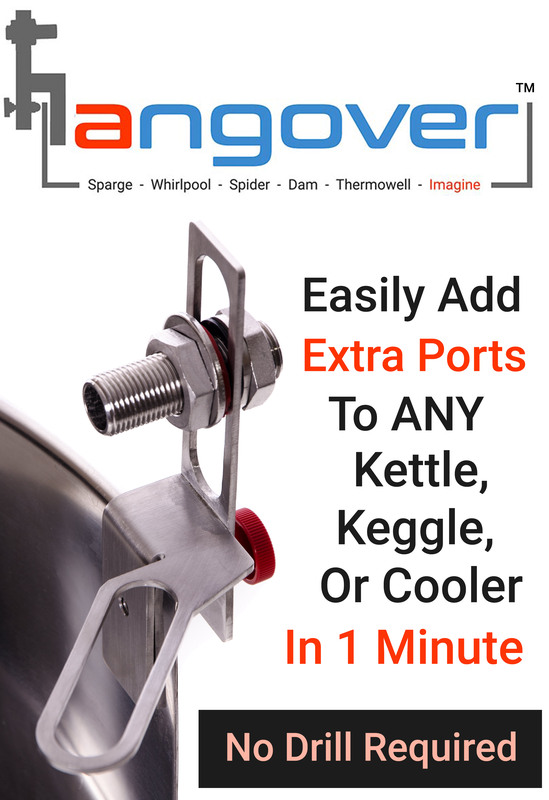 Add 1/2″ NPT ports instantly to your kettle or cooler with The Hangover™ to securely attach a multitude of brewing hardware. 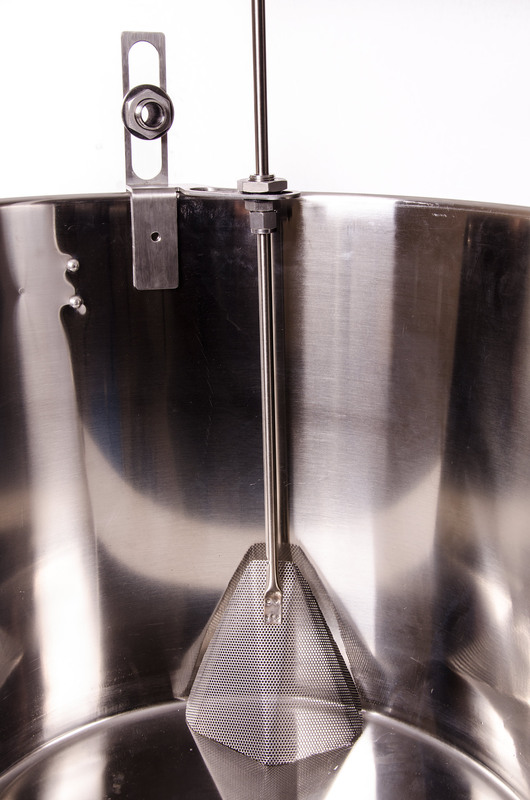 Every brewer comes to a point where they need additional upper ports in their brewery to utilize advanced techniques such as whirlpooling, sparging, and more. This change typically tends to knock their quality and efficiency out of the park and really up their brew game. Quite simply, brewers naturally progress their approach to brewing beer. 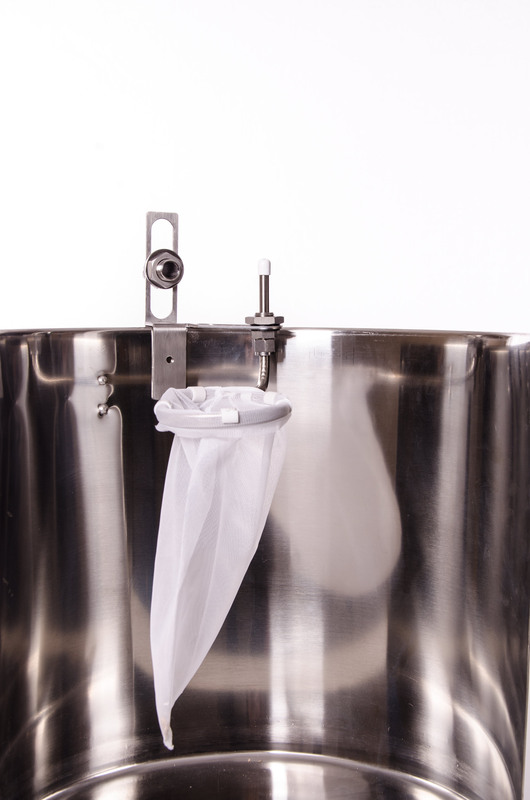 Taking this step has historically entailed costly equipment upgrades, or potentially dangerous cutting or welding alterations to their kettles or brewing vessels. 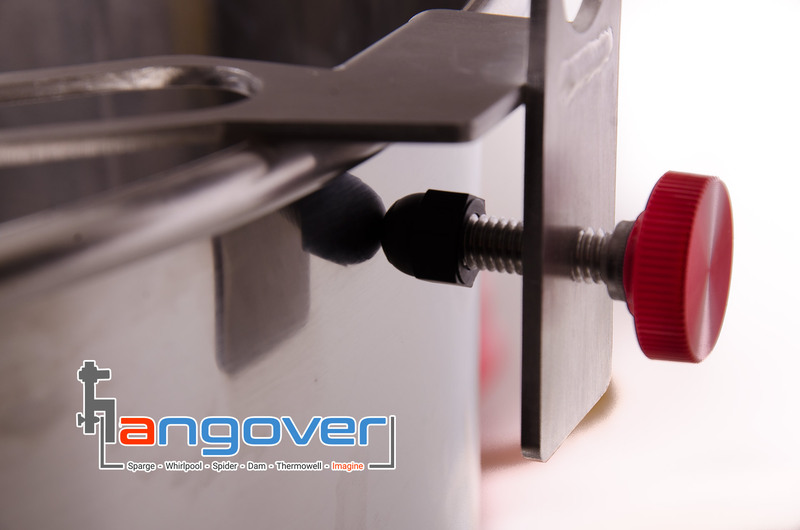 Now in less than 1 minute you can solve all of the above and be on your way to making better beer with the addition of The Hangover™ to your brewery. 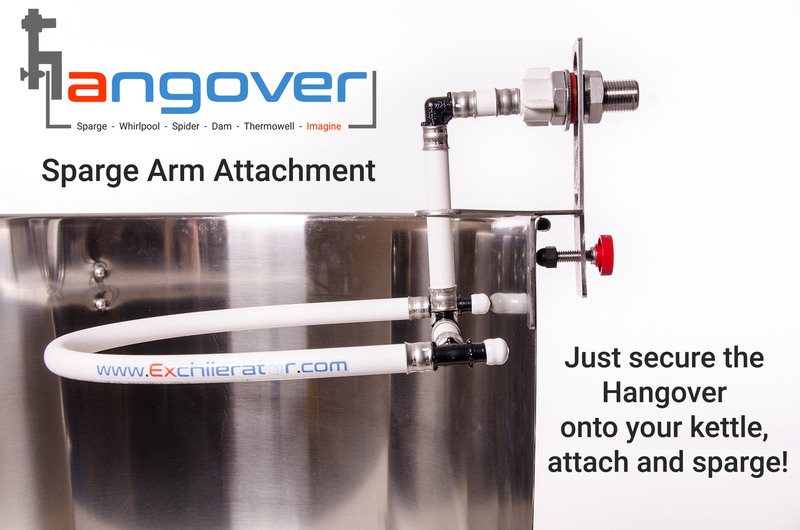 Simply attach the Hangover™ to your brewing vessel and connect the desired accessory. The Hangover™ fits just about any vessel and provides a rock solid connection to side of your kettle, keggle, cooler, etc. 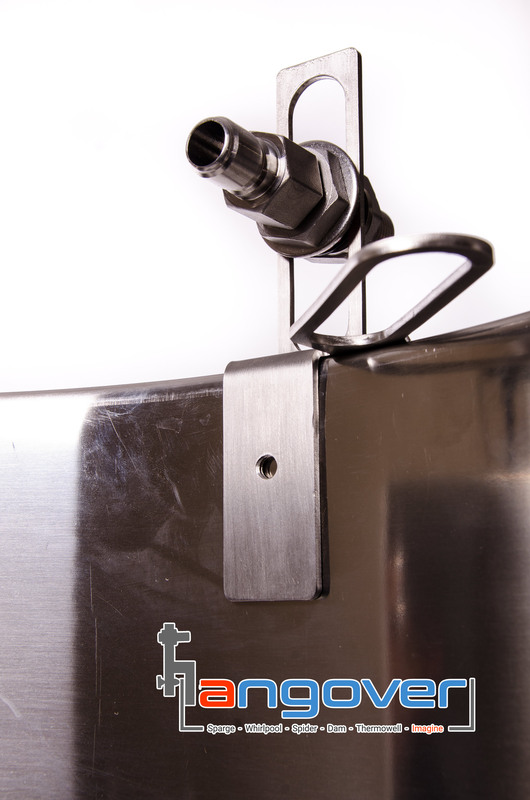 (It actually makes a great way to mount tap faucet on a keg for impromptu gatherings). 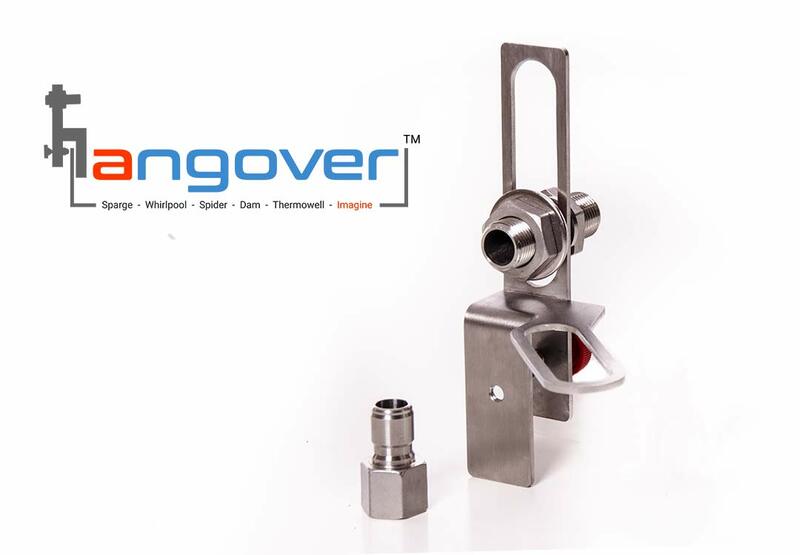 Once connected The Hangover™ provides an industry standard 1/2″ NPT port, vertical adjustment plane, and what we call a ‘deck plate’ or it’s horizontal plane. These planes allow for the easy addition of adjustable 1/2″ fittings, pipes, tubes, etc. for just about any professional grade brew setup you can imagine. Best of all, all of this is accomplished using your existing hardware with no expensive upgrades!